Keep your body and mind fit through tennis. A sport of a lifetime that’s fun to learn and easy to play. Pizza and trophies accompany this tournament. Friday night league participants are preregistered and this tournament is included in the with the league. 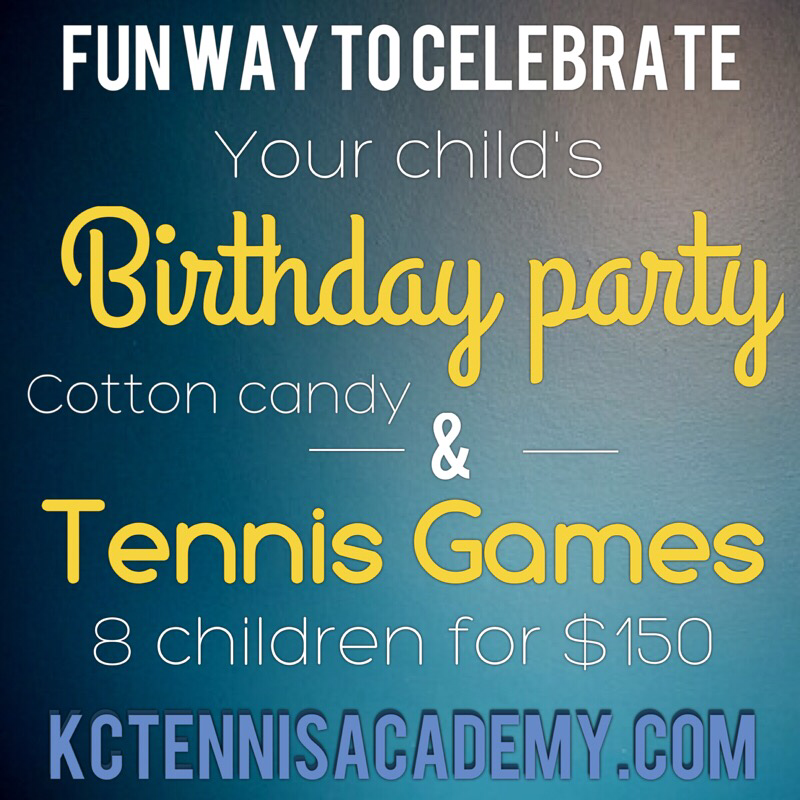 Indoors or outside we can get those kids laughing and having a good time with our fun Birthday Party program. Games and activities for all ages and levels. Even those who have never played before. Call today to hear more and schedule.